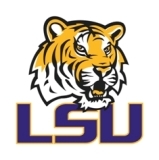 The Louisiana State University Women's Softball Camp offers athletes an exciting and unique opportunity to learn from top conference coaches and staff. Located in Eunice LA, Fighting Tigers Softball is designed to provide the best possible instruction in a fun and safe learning environment. Athletes will focus on proper technique and skill development while improving basic fundamentals. The Fighting Tigers offer one of the best summer Softball camps in the country and the experience can be a game changer for serious athletes looking to play at the next level. Improve your skills, request more information today!